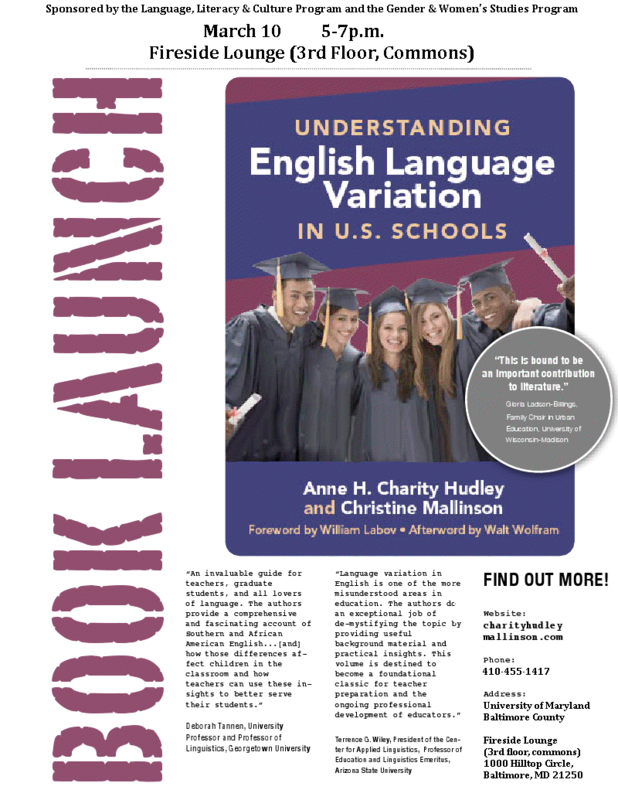 All are welcome to attend our book signing at UMBC on March 10th from 5-7 pm. The signing will be an informal, drop-in event located in the Fireside Lounge (on the 3rd floor of the Commons building at UMBC). Click here for a map of UMBC’s campus. See also the attached informational flyer, and feel free to share with anyone who may be interested!